with your workers and stakeholders. We believe that diversity initiatives succeed when you embed high performance practices throughout the organization — from employee handbooks to performance measurement to pay and selection practices to employee engagement programs. We take a close look at your organization’s culture and develop a strategic plan that suits your needs. We review existing policies in light of federal and state law and can craft new policies and procedures to enhance fairness and minimize implicit biases. We can also help you identify goals for your organization and measures to assess your programs and create incentives for improvement. As pay equity becomes a high profile concern for investors, regulators and stakeholders, we can help you not only ensure compliance but identify weaknesses in your pay practices that keep it from serving your goals for fair and competitive compensation. This includes thorough assessments based on quantitative and qualitative assessments performed by highly credible experts applying the best thinking on how to promote gender, race and other forms of equity in your pay practices. We will maximize your ability to attract and retain diverse talent and help you transition to the emerging reality of greater pay transparency. Organizations thrive with diverse talent. We’ll help ensure that your selection procedures keep pace with our global economy so that you can attract and retain the best and brightest. Our principals have championed the use of diverse candidate slates in hiring in organizations like the NFL and in the financial services industry. We can also review your affirmative action planning and programs to ensure they provide concrete benefits to advance your recruitment and retention of diverse talent. Finally, as performance measurement evolves from static and often ineffective assessments to more flexible and dynamic approaches we can ensure your program reflects research-driven best practices to advance workplace diversity and inclusion along with business objectives. Our services place a priority on leadership strategies and interventions. Increasing Board of Directors and top management engagement to drive change, and supporting and developing leadership at all levels of the organization will make your diversity performance stronger and more sustainable. 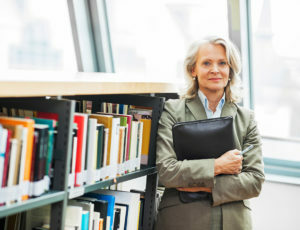 We can help you deploy strategic investments in human capital that help you reach your goals including meaningful programs to diversify your board and senior leadership, leveraging executive compensation metrics to promote EEO and ensuring your governance mechanisms promote strategic human capital and diversity goals. When you are facing challenges, we can work with you to drive successful change – and when you aspire to publicly identify as an industry leader, we can validate your diversity and EEO practices to external stakeholders. Put our reputation to work for you, as credible and effective worker advocates, to frankly identify your challenges. Then we can help you develop reforms that your employees will value and your stakeholders will praise. Our philosophy is that inclusive workplaces require understanding and intentionality. We can help you learn more about how your employees perceive their workplace, and identify barriers to greater inclusion. Research and our own experience shows that your employees can be an invaluable resource – and our background as worker advocates lets us understand engage that resource more effectively. We also now know that most traditional diversity training programs do not deliver enough benefits – and in some cases can set you back. We will leverage the newest approaches to training and engagement, and help you design a custom approach.